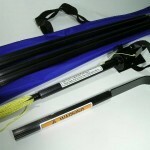 This Kit includes the Aerosol Pole (ITEM # 282264) & the Scraper Top (ITEM # 282270). PRODUCT DESCRIPTION: Aerosol dispensing tool which comes with 4 sections – each one 4 feet long – which can be used in series for treating nests which are over 20 feet high. 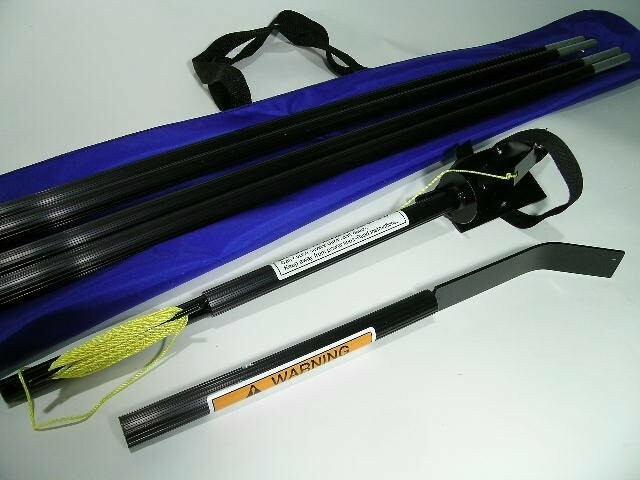 Extra extension poles are available for even higher reach. The top has the aerosol can holder which can be used to hold an assortment of aerosols. It is fully adjustable and locks in place so you can adjust it to work just right for any type of can. The aerosol is activated by pulling a string which hangs down and attaches to the base of the pole via an secure tie down anchor. This pole is excellent for treating wasp and bee nests but can be used to apply any type of aerosol product so it can be used for other pests as well.